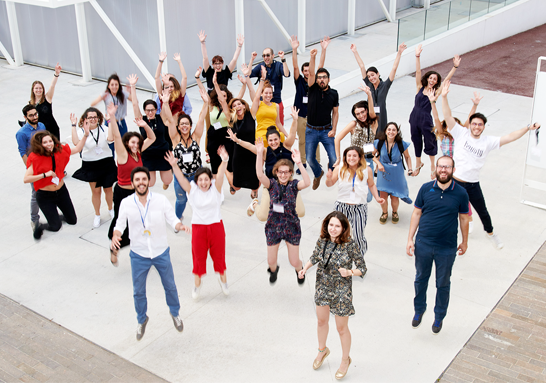 The Summer School that stimulates humanities scholars in identifying new entrepreneurial opportunities and the development of new business ideas. The Summer School Entrepreneurship in Humanities is a two-week, full-time course that fosters the acquisition of interdisciplinary skills between humanities and social sciences, technology and economics, marketing and communications. The high-profile innovative path activates a creative process in which the humanistic tradition interacts with sociology, business economics and new digital technologies in a dialogue that uses different themes, and tools, in order to encourage the development of new business ideas. Andrea Bonaccorsi, Professor of Engineering Management at the University of Pisa and expert in economics and science of innovation, returns as scientific director for the second edition of the summer school. The training course is complimentary thanks to the support of Fondazione Golinelli. The aim of the Summer School Entrepreneurship in Humanities, promoted by Fondazione Golinelli, is to support humanities scholars in identifying new entrepreneurial opportunities with a highly innovative profile, favoring the acquisition of interdisciplinary skills. University students (under age 35), undergraduate and postgraduate students (for no more than three years), doctoral candidates and postdoctoral researchers (or valid foreign qualifications) in the field of humanities. The selection committee will consider candidates from non-humanistic profiles, on the condition of their involvement or commitment to highly innovative entrepreneurial projects connected to the humanistic world. The Summer School is a two-week full-time course that takes place from July 8 to 19, 2019, in the Golinelli Arts and Sciences Centre. Lessons take place, Monday to Friday, from 9.30am to 1.00pm and from 2.00pm to 5.30pm. In parallel with classroom activities, Fondazione Golinelli reserves the possibility to organize aperitifs with a series of prestigious guests invited to give brief talks consistent with the topics covered during the School. Participation in the programme is complimentary. Applications may be submitted from March 13 to May 12, 2019, by completing the appropriate form. Participants will be selected on the basis of the Google form submission and an updated copy of their CV. The programme will accept a maximum of 30/35 candidates. Admission to the programme will be communicated by the selection committee within 30 days of the registration deadline. The summer school programme has a duration of 2 weeks. Each day is structured between morning lectures and afternoon workshops. First week: the theoretical part focuses on lectures that explore the main humanistic assets such as object, image, text, memory and myth. The practical part has the specific objective of providing participants with the tools, sources and the digital technologies linked to the topics addressed during the morning lecture. In the second week, the programme includes a preview of concepts related to business creation and new business models. Second week: the activities are focused on the analysis of potential users, ie "who could be interested in the contents" addressed in the first week of the Summer School. Topics such as the exploration of social and purchasing behaviors in regard to the proposed entrepreneurial ideas are studied in depth. A shift in perspective: from humanistic it becomes sociological, economic, corporate or technological. The lectures deal with the approaches and tools for the development of new business ideas, while the workshops focus on the development and experimentation of the business idea..
A certificate of completion will be issued at the end the course. I would like to receive the Fondazione Golinelli newsletter to stay updated on their news, events and initiatives. I would like to receive the educational newsletter to stay updated on teacher training courses and professional development. Supporting Fondazione Golinelli means, above all, helping youth have access to our educational and professional development activities.